An RAF pilot who died fighting in defence of his country during the Battle of Britain – one of the most momentous aerial campaigns of the Second World War – has been honoured almost 75 years later at a ceremony arranged by the Friends of St Helens Cemetery. 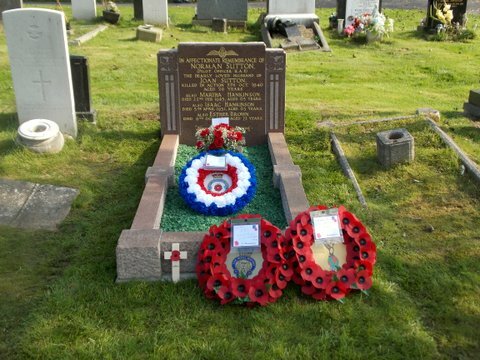 The grave of local RAF Pilot Officer Norman Sutton – which fell into disrepair over the years – has received careful renovation, arranged by amateur historian Adrian Cork, who has been undertaking research into the life and death of Battle of Britain pilots from across the borough. 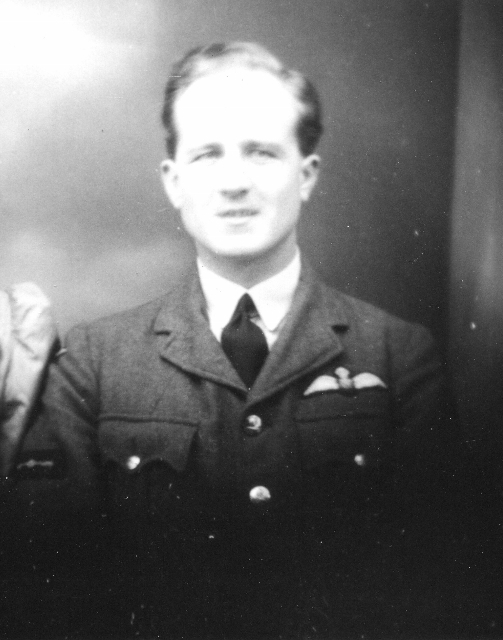 Pilot Officer Sutton, of Parr, died aged 26 on 5 October 1940 during aerial operations over London serving the RAF Volunteer Reserve 72 Squadron, leaving behind his wife of 8 months, Joan. 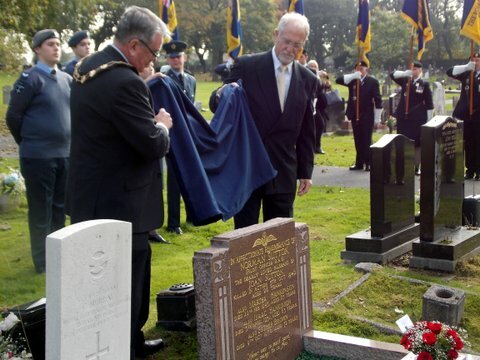 The renovated headstone at St Helens Cemetery was unveiled at a special rededication ceremony by the former Spitfire pilot’s nephew Bill Gabbott, who helped to fund the renovation after being contacted by Adrian Cork, and Deputy Mayor of St Helens, Councillor David Banks accompanied by Deputy Mayoress Councillor Jeanette Banks. Photo: Deputy Mayor, Cllr David Banks and Sutton’s nephew Bill Gabbot unveil the renovated headstone and decorated grave.